County Sligo is in the northwest of Ireland and Sligo town is the principal accommodation base. The area just north of Sligo town, dominated by the fascinating Ben Bulben mountain, is known as 'Yeats Country' as it was here that the famous poet composed most of his famous works. Drumcliffe Cemetery is where he is is buried and the little church and graveyard are well worth a visit. 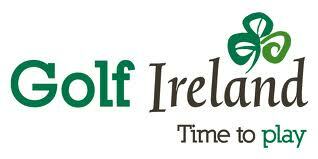 County Sligo Golf Club at Rosses Point is one of Ireland's most challenging links courses. Exposed to the wind it is nonetheless a fine championship course and anually hosts the West of Ireland Amatuer Open, one of Ireland's premier amateur events. Nearby is another excellent links at Strandhill, while the hidden gem at Enniscrone is in the west of the county near the border with County Mayo. See also our region guide to the northwest or visit the official County Sligo tourism website .